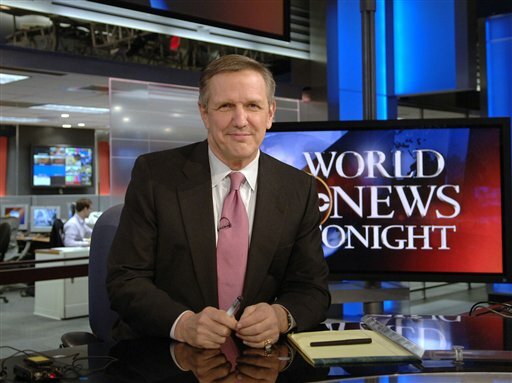 After 35 years at ABC, World News Tonight anchor Charles Gibson will be stepping down. Come January, Good Morning America host Diane Sawyer will take over the helm. When that happens, she’ll be battling it out with NBC’s Brian Williams (number 1 in the ratings) and CBS’ Katie Couric (a distant 3rd now that the Sarah Palin interviews have stopped). This decision means that the ratio of female to male anchors on the major network evening newscasts will be 2-1 (I realize that I’m stating the obvious).